You do not stumble across courses like Ganton, you seek them out. It is a connoisseur’s golf course. Beyond North Yorkshire, an essentially rural county that is England’s largest, Ganton is not widely known. Peruse any reputable list of “the world’s best 100 courses,” however, and you’ll find its name. Sunningdale and Wentworth may be more famous, but for all-round quality, Ganton sits alongside Woodhall Spa and Walton Heath as one of Britain’s three greatest inland layouts. Ganton made its mark before golf became so fashionable. The club was founded in 1891. Its first professional was Harry Vardon, who was appointed just weeks before winning the first of his record six British Opens. In 1949 Ganton hosted the Ryder Cup, in which Ben Hogan, convalescing from his near-fatal car accident, was the non-playing captain of the victorious American team. 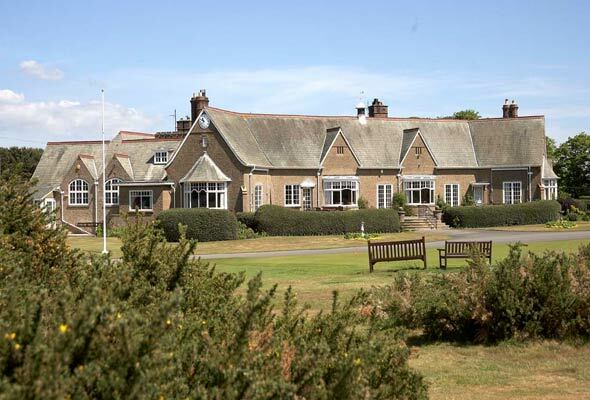 In an age where “high-profile” professional tournaments are rarely played on classic “low-profile” courses, Ganton regularly hosts major amateur events. This year, on June 24-25, it will stage the Curtis Cup matches between the top women amateurs from the U.S. and Great Britain/Ireland, and in 2003 it will be the venue for the Walker Cup. The course was originally laid out by Tom Chisholm of St Andrews. His design was revised on several occasions, but never substantially. 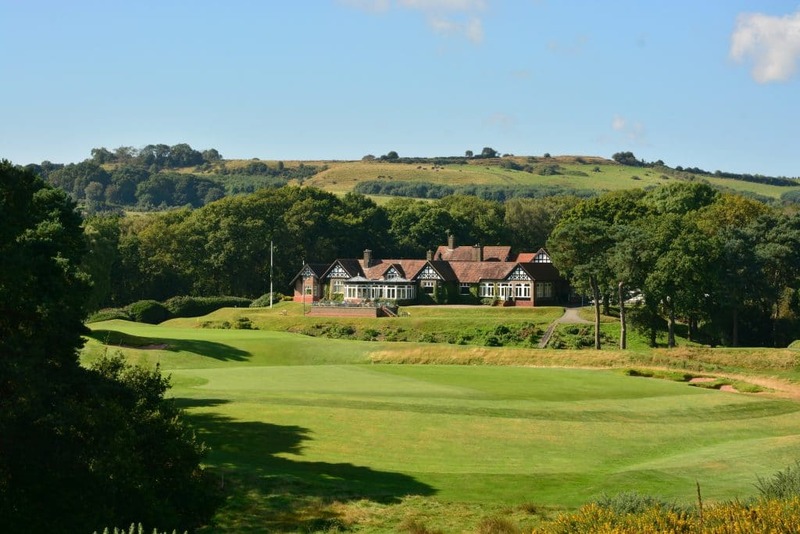 With architectural input from, among others, Vardon, James Braid, Herbert Fowler, Harry Colt and Alister MacKenzie, Ganton gradually evolved into a great course. In terms of playing character and appearance, Ganton has an uncertain identity. 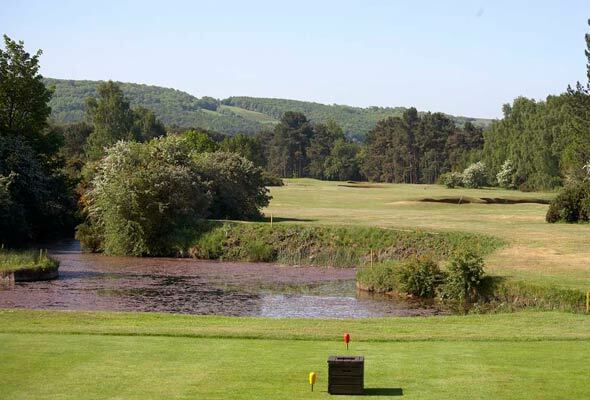 Occasionally it is described as an “inland links”—it is situated nine miles from the coast—and at other times it is referred to as a “links inland.” Although framed by trees, the course itself occupies open heathland and lies on a substratum of rich sand. A profusion of gorse, together with a sprinkling of heather and broom, add color as well as danger. If the exposed, windswept nature of the site causes Ganton to resemble Walton Heath, it is the style and extent of the bunkering that likens it to a links course. No inland course in England has bunkers remotely similar to those at Ganton. Here they are far larger, much deeper and more prolific—as any player straying to the right at either of the first two holes quickly discovers. 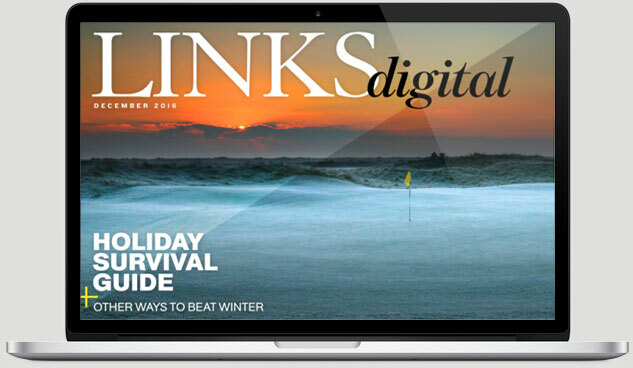 With their steep, revetted faces, they are, of course, links-type bunkers, and Ganton has more than 100 of them. The course has no major climbs to negotiate and the fairways have only a few significant undulations. Considering that Alister MacKenzie had a hand in fashioning many of the greens, they too seem surprisingly flat—that is, at first glance. In fact, subtlety, as Dickinson observed, and understatement reign supreme at Ganton. 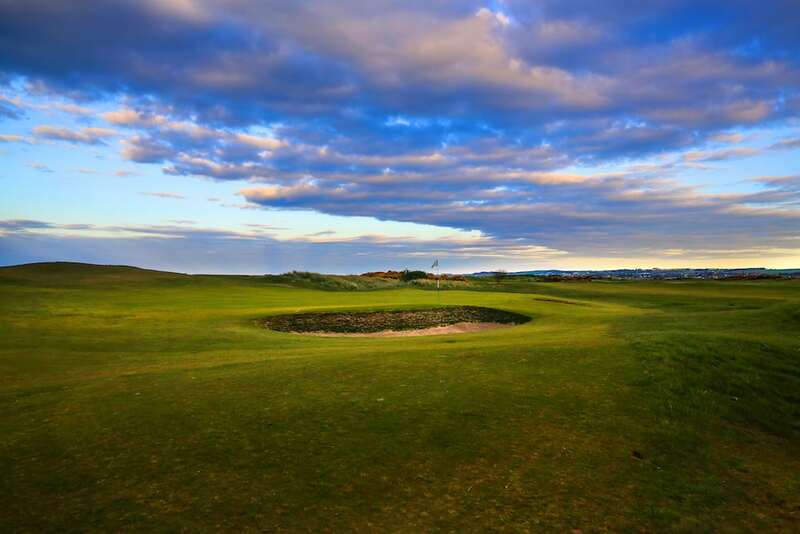 It is not an overly long course, but the routing ensures that if there is any degree of wind, it will both assist and confront the player at regular intervals throughout the round. If Ganton has a weakness, it is that there are only two genuine par-3s (although the 250-yard-plus, par-4 17th is sometimes played as a par-3 from the championship tees). The two-shot holes more than compensate, however, and they provide enormous variety. Most modern courses—or most modern architects—seem to spurn the short par-4, even though many golfers relish playing a hole where they can weigh the risks and rewards of going for the green with their drive. Ganton has two, if not three, of these holes. The diversity among the par-4s is experienced in the first four holes. Provided those cavernous bunkers to the right of the fairway are avoided, the first is a fairly gentle opening hole. On the second you must drive over a crest, then hit down to a green that slopes sharply away from you—a much tougher proposition. The third is almost drivable from the forward tee, although you must somehow thread your shot along an hourglass-shaped fairway. And the fourth hole is an absolute gem. You can afford to open your shoulders a little as you drive, but it is the exciting second shot that really makes the hole: It is fired across a shallow, watery ravine to an attractive plateau green, with a steep fallaway to the left and a bunker that eats into the right side of the green. Sand and gorse are about all you see when you arrive at the tee of the short fifth. You have no option but to carry the gorse, and if you pull your shot badly and miss both the green and the sand, your ball could finish in a large pond. Most people are happy with a par at this hole. Three strong par-4s now follow, the best of these being the classic seventh. For all the comparisons with Walton Heath and Muirfield, Ganton’s seventh hole looks as if it could have been plucked from one of the great sand-belt courses of Melbourne. It is a beautiful left- to-right swinging dogleg and features a nest of bunkers lurking just beyond the fairway at the corner. The approach is struck very slightly uphill to a raised green defended by twin bunkers to the left and another to the right. Approximately 60 yards short of the green, a large bunker serves to confuse distance perception. The front nine concludes with a par-5. It is possible to reach the green at the ninth with two good blows, but it requires an accurate drive along a gathering valley and a long, straight second to a small, sloping green. The 10th is the second short hole, and like the fifth, the only place to be is on the green, as the putting surface is virtually encircled by five bunkers. Then come two very different par-4s. The 11th sports an undulating fairway with a second that must carry a vast cross-bunker, and the 12th is a severe dogleg played from an ­elevated tee, where you are tempted to ­drive over the top of some tall pines to leave a simple pitch to the green. The 13th is a par-5 with 13 bunkers, but the course’s acclaimed finish doesn’t properly begin until you reach the next tee. The 14th is the second of Ganton’s drivable par-4s. Unless there is a strong helping wind, it takes a brave man to attempt the shot, for the direct route to the flag requires a 240-yard carry over a huge crater-like bunker. The green itself is protected by sand to the left and swales to the right, with yet more gorse at the back of the green. The 15th and 16th are both big par-4s, comparable in quality to the fourth and seventh, and running in opposite directions. The 15th has an elevated tee and some very interesting bunkering, including a 40-yard-long trap that snakes its way up the left side of the fairway. It also features a mischievously concealed depression in front of the green. At the 16th you must drive over a huge cross-bunker, the biggest on the entire course, then play downhill to a green fringed by gorse and sand, and overlooked by a number of sentinel pines. The penultimate challenge is the third risk/reward hole. As previously mentioned, it only just qualifies as a par-4, although with the green perched at the top of a steep rise and defended by typically deep traps, it requires a solid stroke if it is to be reached from the tee. The 18th is an appropriately strong finishing hole, and one that regularly produces a dramatic conclusion, especially in match play. Ganton’s characteristic hazards—gorse, sand, scrub and trees—conspire to create a perilous journey from tee to green: An accurate drive must be followed by a very precise approach. It is just the kind of hole that Harry Vardon and Ben Hogan would have relished playing. And, whenever matches go down to the wire, it will be interesting to discover which of this year’s Curtis Cup teams rises to the occasion.